Partnering with the expertise of W3 EDGE, and including W3 Total Cache in our WordPress application stack will make WordPress performance typically known only to large enterprises a reality to everyone. As part of their mission to provide robust cloud applications, VPS.NET today announced their partnership with W3 EDGE, a renowned group of innovative WordPress experts. W3 EDGE is known for their WordPress performance optimization framework, W3 Total Cache, which will be included in VPS.NET’s WordPress cloud application installation. Hosted on their well-known cloud platform, which is located in more than 20 data centers worldwide and scales on demand, VPS.NET has taken the reins for their WordPress hosting customers by integrating their WordPress hosting stack with W3 Total Cache to make it one of the fastest and most reliable out-of-the-box solutions on the market today. Put simply, WordPress performance takes on a whole new meaning. Since 2003 W3 EDGE has consulted startups and well known brands including Yahoo!, Sony, Smashing Magazine, Mashable and many others. While their projects usually include WordPress configuration and optimization, one of their largest contributions to the Wordpress community is the Web performance optimization framework, W3 Total Cache. W3 Total Cache is said to be the fastest and most complete WordPress performance optimization framework to date. It improves website performance by more than ten times through caching every aspect of the sites with which it is installed. VPS.NET operates one of the largest cloud hosting systems in the world. It offers affordable cloud hosting to everyday users, while giving enterprise users the flexibility they need to adequately scale, and handle their growing IT demands. 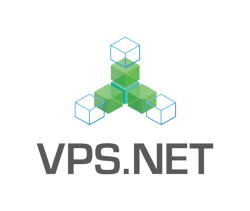 VPS.NET is a division of the UK2 Group, which provides domain registration and Web hosting services to thousands of customers globally through its family of hosting brands - UK2.net, Midphase.com, WestHost.com, 100TB.com, ANHosting.com, Resell.biz, and VI.net. VPS.NET is committed to providing secure and reliable products and services underpinned with excellent support. For more information about VPS.NET, please visit http://www.vps.net.